This simple range of items in one block colour with a navy blue trim continues to be popular after more than a dozen years. 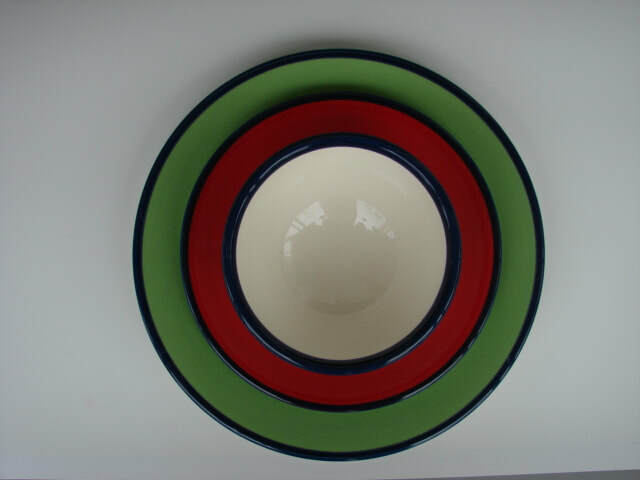 The standard items are the dinner and side plates as well as several different bowl sizes. 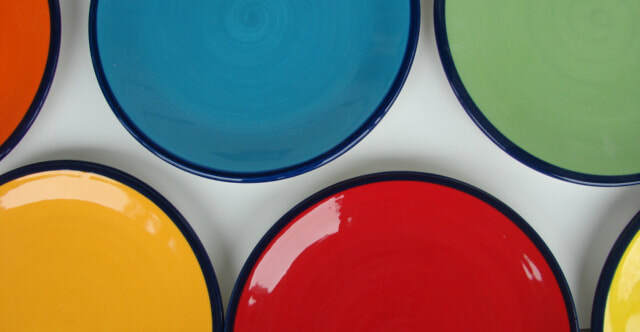 You can choose any number of items in any combination of colours. eg. 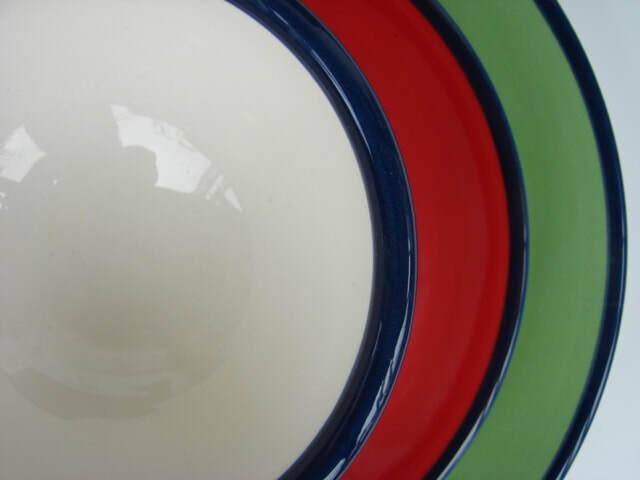 6 Pasta Bowls in 6 different colours or 8 side plates - 4 colours x 2 of each. etc etc. The colours below are approximate .